Two women at the opposite ends of marriage are trying to answer the same question: When should you fight to save a relationship and when should you begin to let go? On their thirty-fifth wedding anniversary, Gwyn Huntington and her husband, Thomas, invite friends and family over for a most unusual celebration. Their home, Huntington Hall, has been in the family for generations after surviving the Great Hurricane of 1938, which tore Montauk apart. Instead of celebrating their life there, Gwyn and Thomas are toasting their divorce. The weekend also marks the first time that their son, Nate, brings his fiancée, Maggie, home to Montauk. But Maggie finds herself wondering if it will be the last, because she discovers a secret Nate has kept for years. 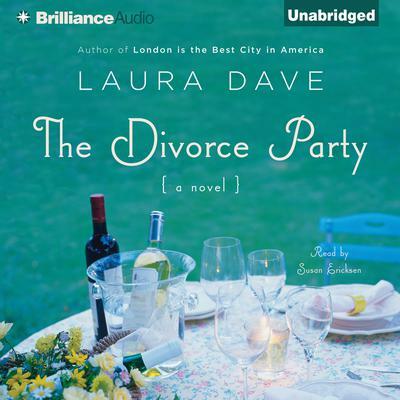 A multigenerational novel about love, family, and what it means to build a life with someone, The Divorce Party brings us two immensely appealing women: Gwyn, at the end of her marriage, and her future daughter-in-law, Maggie, at the beginning. Though they make very different choices, both women ultimately discover how to create the lives that they most want to lead.